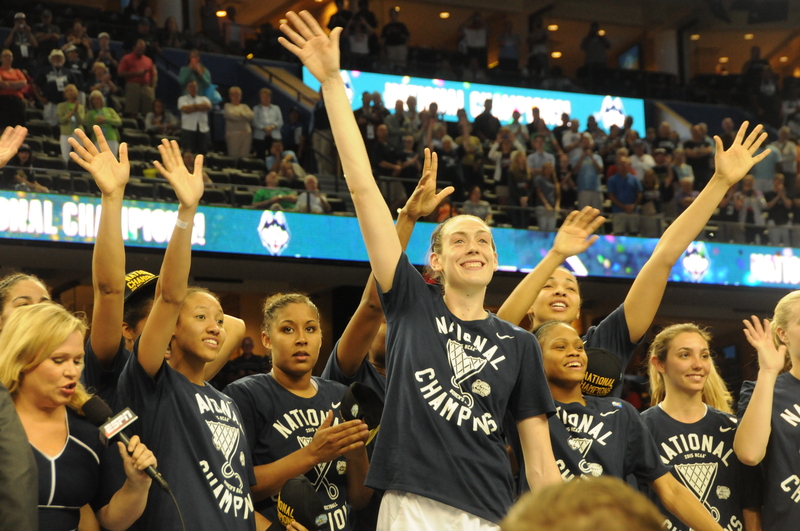 The UConn women’s basketball team celebrates winning their third consecutive National Championship. 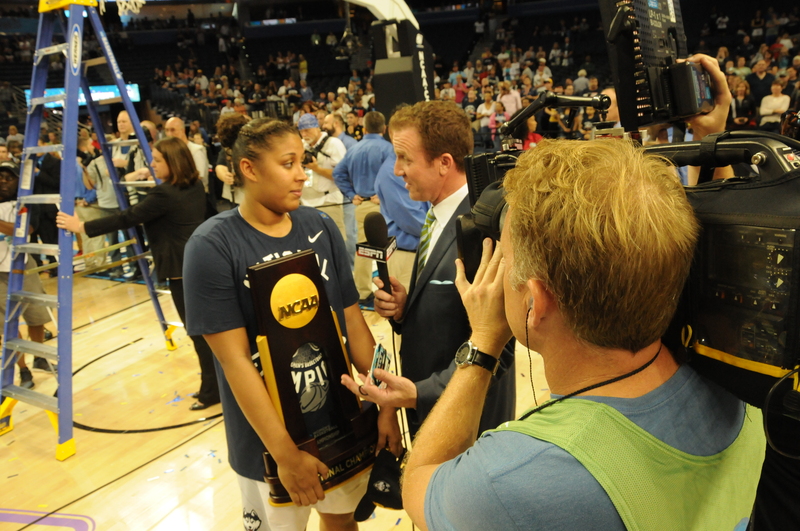 Kaleena Mosqueda-Lewis is interviewed by ESPN’s Bob Holtzman after winning the National Championship. 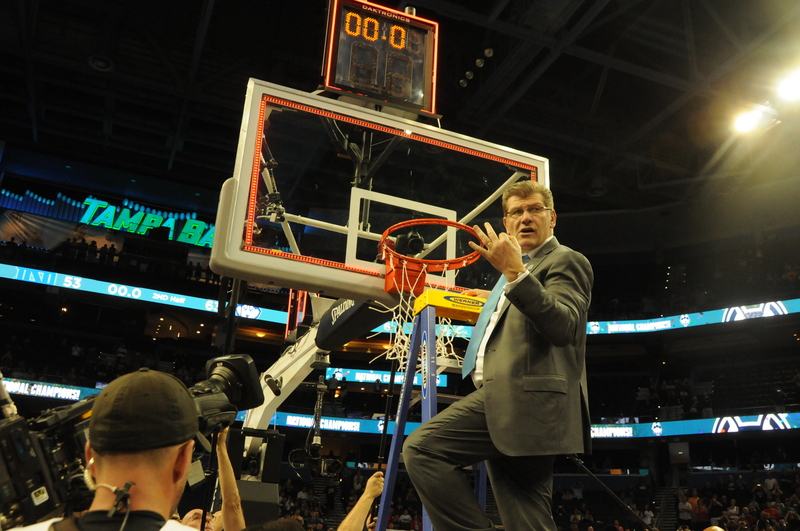 Coach Geno Auriemma cuts down the net as UConn wins its 10th National Championship under his watch. 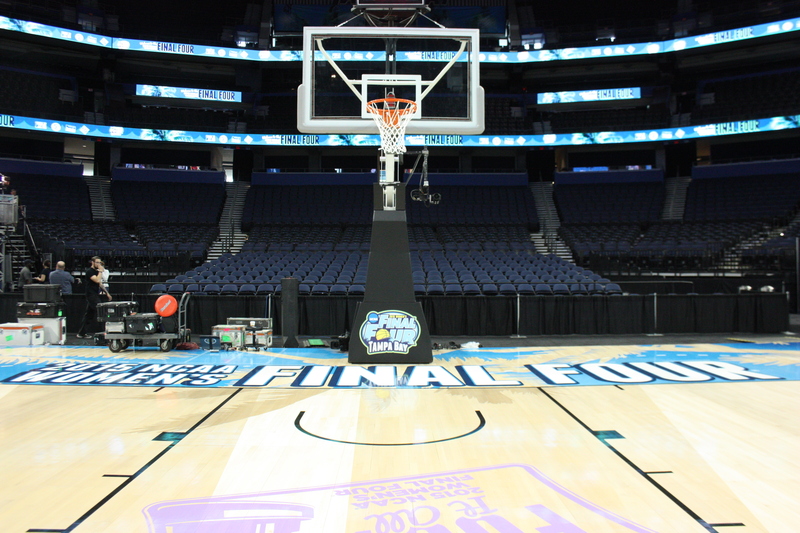 The court at Tampa’s Amalie Arena is covered in confetti after UConn wins their third consecutive National Championship. 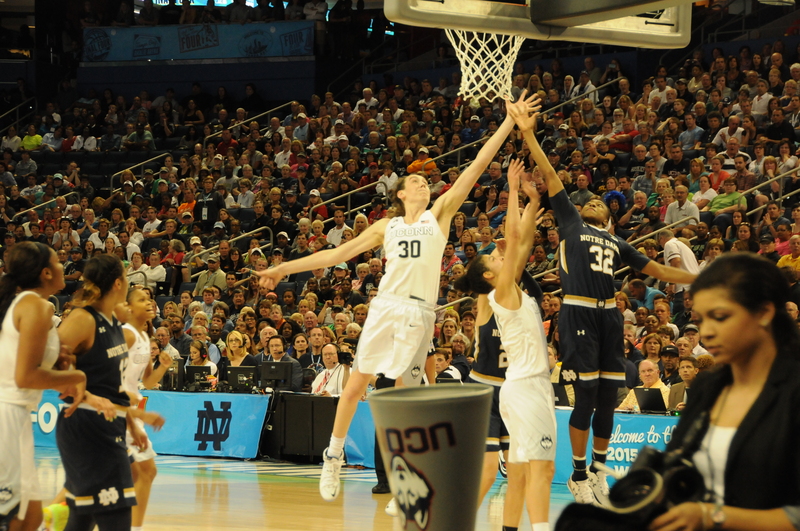 UConn’s Breanna Stewart fights for a rebound on her way to winning Most Outstanding Player of the Final Four tournament. 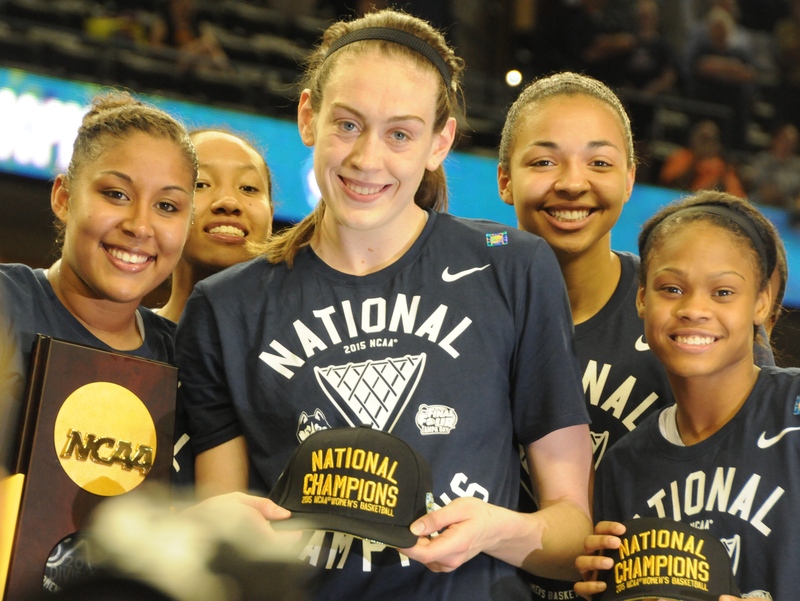 After winning the 2015 National Championship, the UConn women’s basketball team cements themselves as one of the greatest collegiate sports teams of all time. 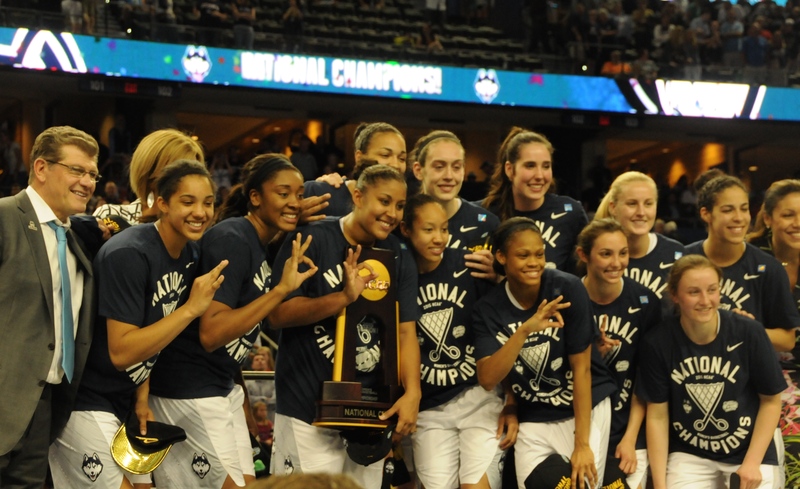 The Lady Huskies acknowledge the crowd at Amalie Arena after winning the National Championship. 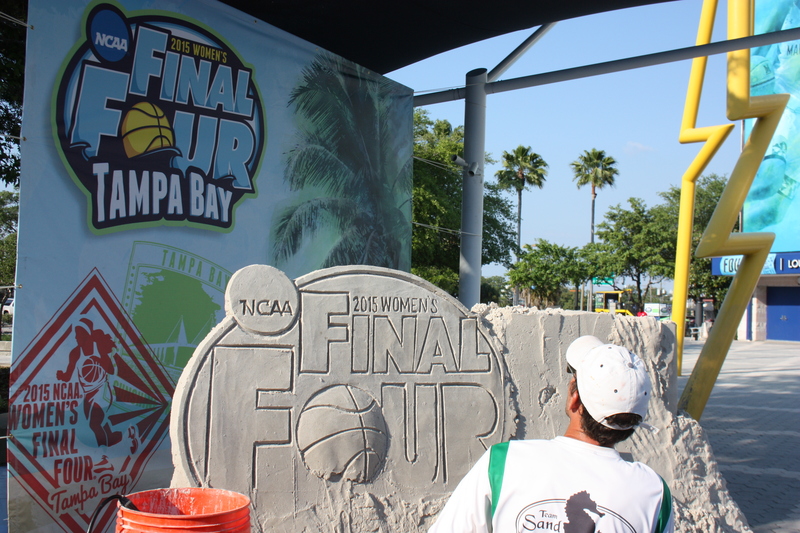 Known for beaches and warm weather, both are on display as a sculptor sweats in the sun creating a sand sculpture for the 2015 Women’s Final Four. 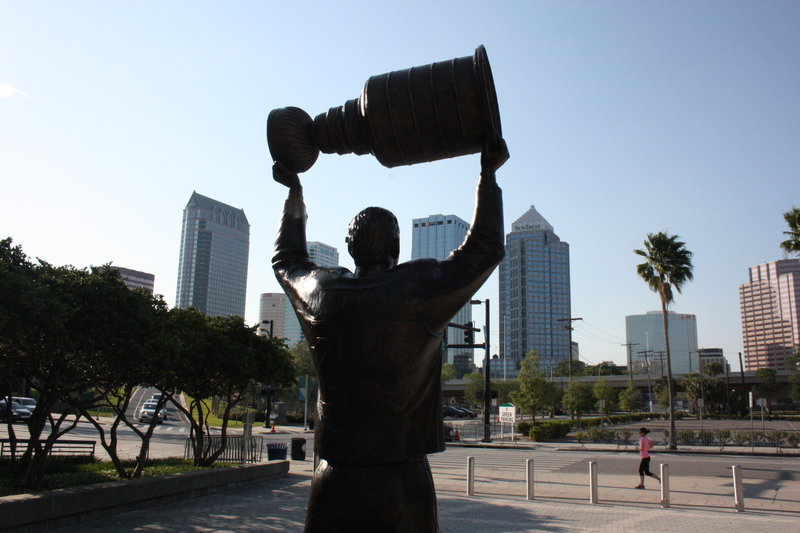 Many champions have been crowned at Amalie Arena in Tampa, as represented by this statue of Dave Andrechuk holding up the Stanley Cup after winning it with the Tampa Bay Lightning in 2004. A brief moment of solace under the basket before the 2015 Final Four begins. 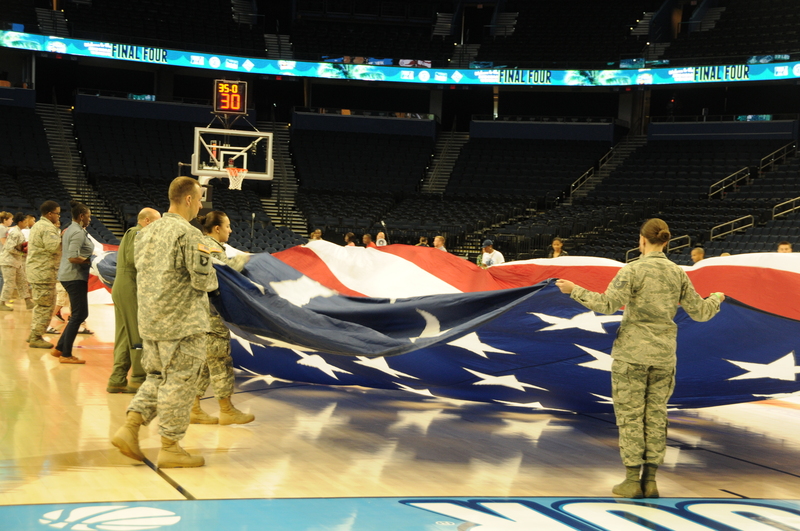 Troops from MacDill Air Force Base in Tampa help with the presentation of the flag during pregame of the National Championship game.